This choir girl has officially landed in the heart of Podium 2012. The first day was a blur: a parliament tour, sound check, choir concert, interview, another choir concert, and welcome reception. As soon as I arrived, it has felt like I've been consumed in a choral-centric whirlpool. Every time I go another round in the swirling vortex there is yet another person I recognize and am excited to greet. This conference is choirtopia. There are so many opportunities to just choir geek-out throughout this conference. One look into the audience and you wonder: “Is that Jeff Enns? the composer of the piece we’re singing?!? !” or “Is that the conductor of the Canadian Chamber Choir!?! ?” It’s as if these glances within an audience or during a reception function as choir star-sightings. It feels like all the musical acquaintances that I have slowly compiled have all aggregated en masse this weekend. Belle Canto's morning began with some lovely historic touring of the East Block of Parliament in the morning followed by lunch in the parliamentary cafeteria with Canadian Senators. Afterwards Belle Canto hurried over to Knox Presbyterian Church to begin the sound check. The church was gorgeous. Reverberant stonewalls containing a cool and comforting atmosphere. We began by singing through our Schumann pieces and communal smiles appeared throughout the choir as we heard the pulsating reverb of our sound. This was going to be a fun acoustic to sing in. After a little bit of physical rearrangement, including my discovery the Belle Canto had introduced some choralography into El Hambo, we were ready for our concert. When performance time came, there was a comforting sense of calm in our green room. Modestly enough, we didn’t have high expectations for concert attendance. We knew we were the first choir performing at the conference and, oftentimes, there is the unspoken understanding that the first day of the conference is the arrival day. Imagine my general shock when I walked out into Knox Church and it was almost a full-house. The people were so densely packed in the pews that I couldn’t make out individual faces beyond those in the immediate rows and patrons with good window spots. It was also an usual experience for me to perform for so many attentive faces. I wish I had a better vantage point so I could have seen the range of reactions from our audience throughout the performance. Overall, I felt like Belle Canto’s set was secure. There were some unexpected claps and minor word mix-ups, but nothing in a high enough concentration to contaminate the entire performance. The Schumann pieces were executed with rich and romantic singing, our premiere of Enns’ “Vidi Speciosam” resonated with ethereal clarity, and Barber’s “To Be Sung on the Water” had this vulnerable, quiet beauty about the performance. It was also refreshing to end with “El Hambo” and “V’la bon vent” which allowed us to have fun and show the audience that we don’t take ourselves too seriously. Belle Canto’s performance definitely provided an interesting contrast to the Tartu Ülikooli Akadeemiline Naiskoo's repertoire. 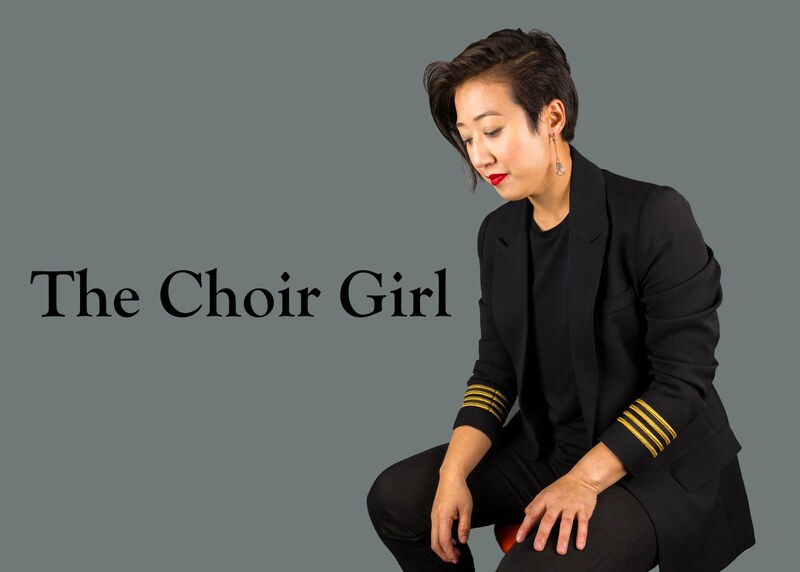 At times I felt like my ears were tricking me because I was convinced there were men in their alto section even though I knew it was a female choir. Their alto sound was just so present and perfectly balanced. They sang a wide array of Estonian folk melodies. I think folk melodies are especially powerful because there is something at the core of the music with a sense of resilience. In any culture, there are constant fluctuations within the history but folk melodies are still able to be consistently transferred. Their entire choral sound had a pliable purity and cohesiveness, which complemented their Estonian repertoire perfectly. The evening showcase concert included the Podium Choir, which was composed of numerous Ottawa choirs. They performed Paul Winter’s “Missa Gaia” aka “Earth Mass”. Under the direction of Matthew Larkin, over 120 singers sang "Missa Gaia" accompanied by strings, percussion, and piano. There were even sound effects of whales and wolves, though I’m convinced the wolves sounded more like dinosaurs. These sound effects were integrated with the previously mentioned musical components to create a soundscape celebrating all of earth’s living things. While I’m not sure if it was because I was sitting at the back of the hall, I found it extremely difficult to hear the choir. Once the accompaniment emerged, it blanketed the sound of the singers. Visually, I could tell they were singing at full volume. Overall, it was difficult to hear the musical clarity when the choral voices sounded muffled. Winter’s piece had lots of unique ideas, including an audience participation component where a hymn was provided for congregational singing and many power-packed choral melodies. What I enjoyed most was that it was a remarkable showcase of combined choral effort and passion in the Ottawa choral community. I’m looking forward to what else this Podium has to offer! My upcoming day will be filled with sessions, interviews, and concerts and I wouldn’t have it any other way. It's too bad you couldn't hear much from the back of the church. I personally blame the funky acoustics of that church. It was a massive church too! Still a neat performance to see.